Investments may sound complex and for those who are not aware of the different types of investments and the terminology used by investors may find it confounding in the early stages. However, once you are a part of the investment world, you will soon get used to hearing the different investment terms. In addition to the terms, investments also require prudence and a good judgment when you have to choose from a number of different investment plans. This is the reason why different investment strategies have come in place. 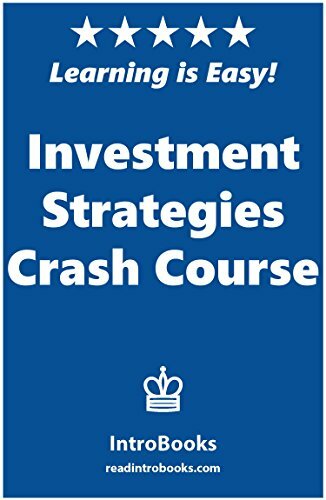 These strategies work as a guide for many investors who are looking for assistance when it comes to investing profitably. The thing with these investment strategies is that they do not come in a ‘one size fits all’ form. Investment strategies vary according to the objectives of the investor. Usually, investors have short term and long term goals with investments. By choosing one investment strategy over the other they identify their investment goals with the strategy they have picked. It is also important for investors to stick to a particular strategy rather than hop from one strategy to another because it can be chaotic to change investment objectives frequently. This however doesn’t mean that you end up sticking to an investment strategy which is not meeting your expectations.